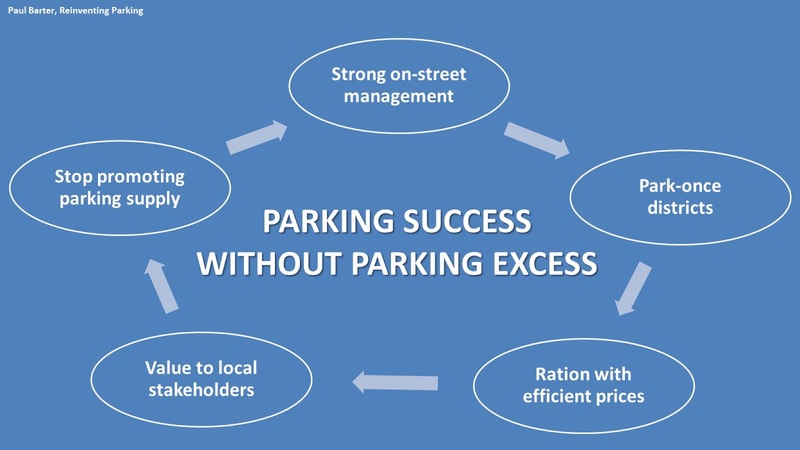 Parking minimums (that is a development needs to have a certain amount of parking regardless of demand) have been a hot topic issue and still is as the owners of Sylvia Park try to reinstate parking-minimums for the Metropolitan Centres in the Unitary Plan. But should we have parking minimums that effectively mean the City is subsidising private parking for private developments. Ideally no and the removal of such minimums as seen with the City Centre Zone, and the Terraced Housing and Apartment Zone has allowed developers to cast a freer and in parking allocation according to potential demand. The upcoming development in Takapuna (Takapuna Apartment Development Example of Unitary Plan Working) is an example of a medium density development being tailored to the geography of its surroundings. Effectively there will not be a parking spot for each apartment due to the complex being extremely close to the Northern Busway and the Takapuna Metropolitan Centre. As a result the development is not lugged with providing more parking than they believe what they need to cost savings would be passed back down to buyer. Hopefully the Metropolitan Centres will continue to have no parking minimums post-appeal. Is Subsidizing Structured Parking Worth It? Some developers have cited the high cost of providing structured parking as part of their justification when seeking tax incentives. Perhaps we’re not subsidizing profits, rather we’re subsidizing structured parking. When presenting the Everly (a tax abated apartment building with 211 structured parking spaces), the Clayco representative said they’d charge residents $50 per month for a parking space, but each space actually costs $150 per month. The market wouldn’t bear the actual cost of car storage. So is the cost borne by the owner in less profit, by tenants in higher lease rates whether they have a car or not, or by the public in the form of a tax subsidy? According to Carl Walker, a parking consultant, the median cost of a structured parking space in St. Louis is $19,417. An underground parking spot costs more. The deeper they are the more they cost. One level down costs 15% more, two levels 45% more. For example 32 N Euclid, which received a $4.5M TIF has 104 subterranean spaces on two levels. $19,417 x ( 1.15 x 52 + 1.45 x 52) = $2.6M. On top of the construction cost one should add the operation and maintenance costs. See a Victoria Tranport Policy Institute Analysis of parking costs. Let’s assume a project wouldn’t happen but for the parking. Structured parking usually doesn’t add to the building’s footprint meaning more land efficiency. An equal amount of cheaper surface parking would require more land. 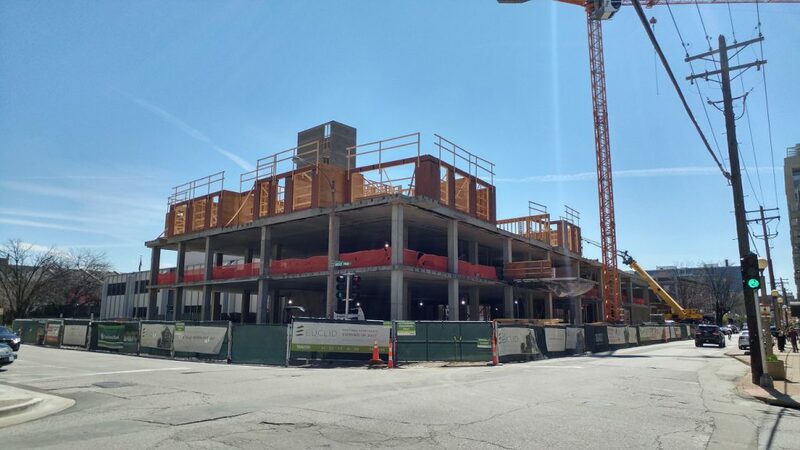 The Citizen Park building at Lindell and Euclid, which received a 10-year 100% plus 5 at 50% tax abatement, has over 300 parking spaces on four levels, three of which are underground. The original plan had 2 levels of underground parking. Despite ample parking nearby, transit options, and walkability of the neighborhood, NIMBYs insisted upon more parking. Perhaps the lesson here is the realization of how costly the “need” for parking is, and how it is socialized. We subsidize it to get an urban form to maximize the land use’s productivity relative to the amount of infrastructure serving it or we build in an auto-oriented form and obligate ourselves to more infrastructure than a traditional form would require. And then we wonder why we can’t keep up with infrastructure maintenance and why our taxes and utility rates keep going up. Brent Toderian has been saying we need to do the math when it comes to urban development and the above example is a demonstration why. Parking Minimums are not needed in the medium and high density zones especially those close to a major transit line or major Centre like a Metropolitan Centre. Developers and buyers are capable of working out the need for parking with a new residential development they certainly don’t need the Unitary Plan telling them provide X amount of parks of which most won’t be used most of the time. Do the math and food for thought.